Black in the torchlight, they shone with iridescent blues and greens, as they began to move, like oil rainbows on dirty water. The thick, scaly plates that covered their bodies moved like a suit of armor, but they were not unbalanced and clumsy as a Human in a suit. They moved as though made of fluid, rolled like quicksilver as they advanced into the hall, steam roiling from their flared nostrils, surveying the battle with their hungry red eyes. 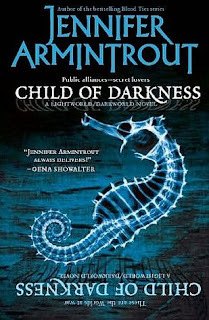 Clicking on the above cover image for Child of Darkness by Jennifer Armintrout will redirect you to Amazon.com. If you choose to purchase after clicking this link I will receive a small percentage of sales. Great teaser and I love the cover! Very descriptive and teaser-y! I'm going to check this book out further! Mine is at The Introverted Reader. ooh creepy I like it. Sounds like my type of book suspenseful and intriguing. Great teaser! Definitely wondering who they are. Sounds scary. Love it! Welcome back to Teaser Tuesday! This author's books have been recommended to me a number of times. One day, I might actually read one! Nice teaser! Sounds very dark, this one is on my tbr can't wait to start the series. Oooh great teaser, and I LOVE the cover! This looks like a good book. My teasers are at The Crowded Leaf. Oooooo, wow. Very evocative imagery. Nice teaser. 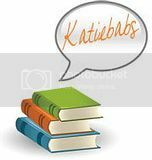 Kelly Peres - Yes, its book 2 in the series. I had actually already finished this book a few weeks ago, but LOVED that description, so had to share. Ophelia99 - It sounds like it could be a dragon...doesn't it? I think you might want to read it to find out ;x lol. I thought it could be talking about something really pretty until it got to the glowing eyes. Now I'm scared. Welcome back! And GREAT teaser to come back with!